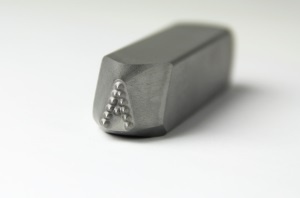 Low stress dot character steel hand stamps for low stress marking requirements. Popular for aerospace marking requirements. Click here for more information on our Marking Hammers. Click here for more information on our Hand Stamp Holders.